CareerIndia presents to you the most sought after government jobs of the day. Candidates can apply for the job positions like Doctors, technicians, supervisors and more posts according to their qualifications and experience. The jobs are located in various states of the country including Rajasthan, Mumbai, Delhi, Uttar Pradesh and West Bengal. Qualified candidates can read the gist of the jobs here and click on the links below each recruitment to know their details and proceed with the application process. ESIC is holding a walk-in interview to recruit doctors. Selected candidates will have to sign a bond for a contract period. If he or she quits before the stipulated period, they will have to pay a compensation of INR 30000. 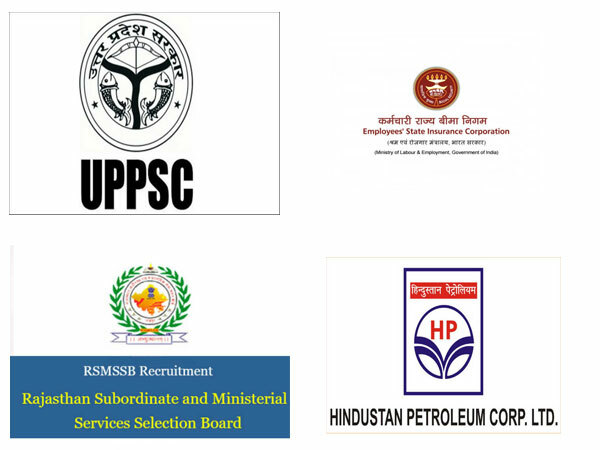 HPCL has opened vacancies for 122 technicians in non-management cadre for the Mumbai refinery. Candidates can apply online before the stipulated date. IOCL is offering part-time employment opportunity for doctors. Suitable candidates can attend the walk-in interview on the below mentioned date. For any doubts, contact the helpline number 03224-223267/223268. Candidates need to pay the fees and apply online in order to grab this opportunity. However, applicants need to ensure that their claims in the application form are true, lest they will be debarred from further applications. RSMSSB has opened vacancies for the post of Supervisor. Only female candidates are eligible to apply.